As a dentist, I value the opportunity to help my patients. 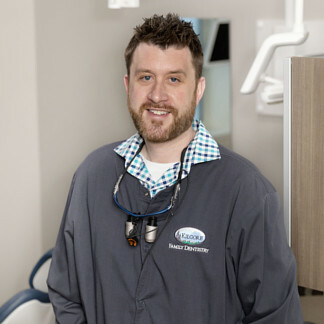 Whether I’m relieving dental pain, restoring function, making a smile a bit more attractive, or providing a check-up and recommendations, I have the chance to improve the person’s life. It’s an honor to serve our community. The connections that naturally grow with patients are remarkable: I enjoy learning each person’s story, hearing of their adventures and families, and getting to know them on a personal level. 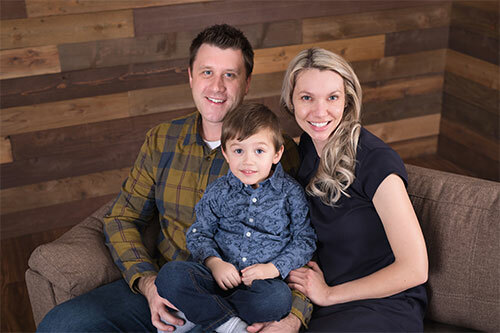 I grew up here in Fairbanks and came home after dental school: I wanted to give back to the community that gave me so much and helped me become the person I am. Dentistry is my way of improving lives, one person and one smile at a time. I’m proud of the Kilgore Family Dentistry team. Each member brings knowledge, experience, and insight to the office. Everyone shares my desire to make our community healthier and happier. 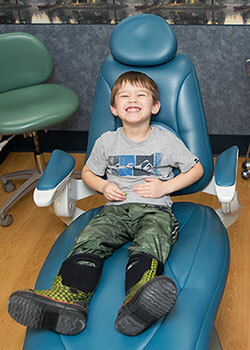 Together, we are committed to dental excellence and providing compassionate care. A large part of my commitment to patients and my profession is my desire to stay at the forefront of emerging techniques and technology. Dentistry is constantly advancing, and each new option means more and better choices for my patients. Throughout the year, I take a range of continuing dental education courses, to learn about and evaluate the latest developments. By constantly expanding my knowledge and skills, I am able to provide each patient with the ideal care for their needs. After completing dental school, I spent seven years working for a local nonprofit: the Interior Community Health Center. I was the dental director for five of those years. The organization will always have a special place in my heart. I share my life with my beautiful wife and our young son, as well as two Australian Shepherds. Outside of work, keeping up with our son keeps me busy: He’s constantly on the go and it’s amazing to watch him learn and grow! I enjoy snowboarding in the winter and tennis and 4-wheeler adventures in the summer. Most of all, I love spending time with my family and exploring this beautiful state!